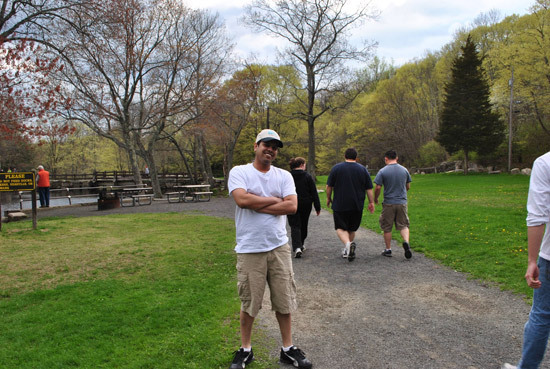 I deal with 150+ clients for whom I manage their websites. One common question I get asked when a client is trying to learn about SEO is "What is the 1 biggest thing you can do on a page to make a difference in SEO?" My answer is always the same. It's the Title and the Heading tags. What is Title Tag and H1 Tag? When it comes to search engine optimization, title tag and h1 tags are super important. When I do a site audit, I look the title and h1 tags on a few pages and can tell how well the rest of the site is optimized. Lots of people miss the boat on this one. In my view, Title tag is probably the most important element on a given page when it comes to user experience. H1 tag is second. Forget the SEO value for a minute and think about the USER experience. Here is an example of why these tags is super important: look at the image on the right and assume someone searches for "fortune cookie" in Google. All the listings that appear in Google are usually the title tags of the pages followed by the URL and then description. Often times, Google will replace the title tag with a different tag for brand searches or anywhere Google deems fitting to change the title tag. Google luck controlling Google. But usually, they do it for good reasons and they make sense. 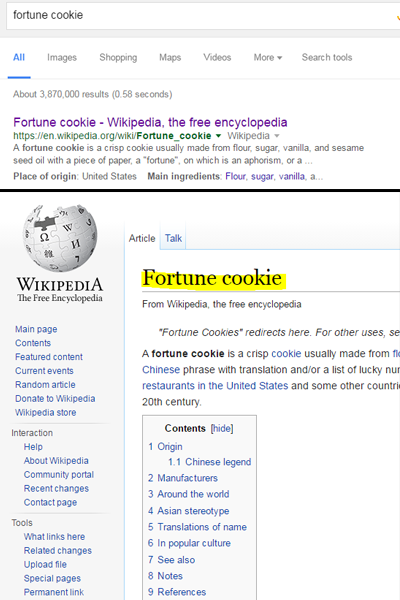 In this case, when a searcher searches for "fortune cookie", guess what they expect to see when they click on the listing that says "Fortune cookie - Wikipedia, the free encyclopedia"? That's right, they want to see "Fortune Cookie - Wikipedia, the free encyclopedia". If you Click on the listing, you will end up in the Wikipedia page for Fortune cookie. You will notice the main heading for the page is "Fortune cookie" which is highlighted. That is wrapped in a h1 tag. But you do not see rest of the title tag which is "Wikipedia, the free encyclopedia". It's okay though, because, the Wikipedia logo is right there to let you know that you are in the right place. Title and h1 tags don't have to match but they have to be very close to make sure the point gets across. If the searcher doesn't see what they just searched for on the page right away, you may loose the visitor. That's why it's crucial that we get the title and h1 tags right. If you are building the page with the user in mind in terms of what the user will search for and what the user will see when he/she clicks on the search listing, you will automatically optimize the page for the search engines. So, I think the SEO value is given. Just focus on user experience and the on-page optimization will work itself out.